Marico’s Q3FY11 numbers were in line with our expectations. Net sales grew a remarkable 22%, the highest in past 6-7 quarters. Growth (+15%) was largely volume driven on strong traction in international businesses. Consistent price increase led to slower volume growth for Parachute and Saffola that up only 5% and 13% respectively. Price of key input, Copra, jumped by 62%, resulting in ~1,300bps dip in gross margins. However, lower other expenditure and slower growth in SG&A restricted the EBITDA margin decline at ~250bps. Lower taxes and depreciation enabled net profit to grow 12%. 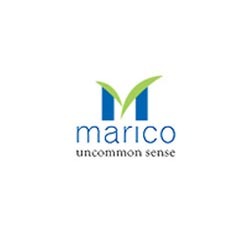 Marico consistently raised key products prices to mitigate the impact of higher raw material cost. Although Parachute and Saffola have leadership in the market, volumes were impacted, with growth being lower at 5% and 13% respectively. With the recent 7% rise in Parachute prices, the FY11 YTD increase works out to be 24%. Consequently, volume growth will slow down in FY12 in our opinion. IBD exhibited ~33% growth, led by ~25% volume growth, ~3% price and ~5% currency benefits. We expect this traction to continue in FY12 on growth across all the regions. Following the addition of Derma Rx, the Kaya business has shown better visibility. Promotional campaigns translated into 40% revenue growth and the 11% growth Ex-Derma Rx is also healthy, in our view. Substantial reduction in losses and Rs41mn operating profit including Derma Rx was remarkable. We retain our FY12E target multiple at 23x, slightly lower than that of the FMCG sector. We believe this discount is justified considering Marico’s high exposure to prices of few commodities and a limited product portfolio. At CMP, we believe the stock offers limited downside; we maintain our ‘HOLD’ recommendation with a TP of Rs128.